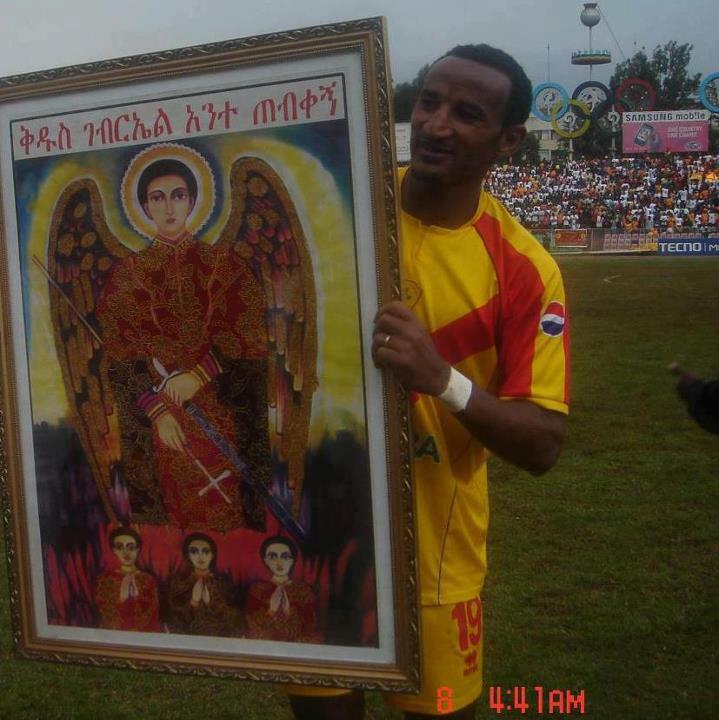 ኢትዮጵያውያን በሰው አገር እንደዚያ ተሰብስበው፣ ባንዲራችንን ከፍ አድርገው ሲያውለበልቡ አይቶ ዕንባና ሳግ የማይመጣበት ኢትዮጵያዊ አይኖርም። እኛ የምንመለከተው እግር ኳስ ብቻ አይደለም። የአገር ክብር ትንሣኤ ሲያገኝ ነው። ብዙዎች ኢትዮጵያውን አትሌቶቻቸውም ሆኑ እግር ኳስ ተጫዋጮቻቸው ሲጫወቱ በልቡናቸው የሚመጣባቸው 22 ሰዎች የሚያንከባልሉት አንድ “ቅሪላ” (ኳስ ለማለት) ሳይሆን አገር፣ ክብር፣ ታሪክ፣ ማንነት፣ ኢትዮጵያዊነት ነው። የኢትዮጵያ ትንሣኤ!!!!!!! Thank you Deje Selam, be globalization zemen endih aqtacha bizu gin weqtawi hunetan ayayzo maqrebachihu yemiyasmesegnachihu new.Haymanotawi nek media should report any issue which has direct and indirect relation or influence on that particular religion followers.The first commentator (Selamachihu yibza) need to consider that if such issue was found in other abroad media, it will be head of the news. 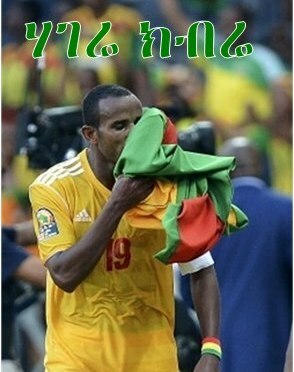 Betam desyelale Ye-Ethiopa Amelak yetemesegene yehun ke-31 Amet behula lezihe laderesen Ye-Ethiopian tensaiwan endihu kerb yargelen ye-kedus Gebriel tradaient ayleyen. Praise be to The Lord Almighty! Let the help of The Almighty God be with them. Let them come victorious and safe! Amen! They have performed great.For me, they are champoion already. We have to remember them in our prayer. 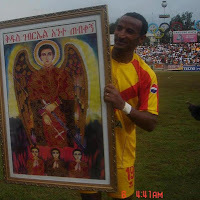 His love to The Archangel Saint Gebreal, would be appreciated by all Christian and Muslims, for Saint Gebreal is loved by all Christian and Muslims. Absariw Kidus Melak Melkamun Yabsiren! Amen!